Rev. 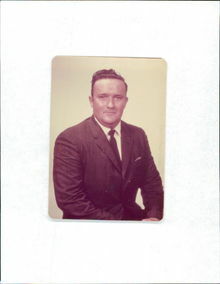 Willerdane Bryan, 82, of Bladenboro passed away on Wednesday, February 6, 2019. He was preceded in death by his parents: Albert Bryan and Carrie Dove Bryan, wife: Bonnie Bryan, one daughter: Pamela Bryan, five brothers and two sisters. Rev. Bryan leaves behind four brothers: Levie Bryan of Bladenboro; Houston Bryan of Elizabethtown; Carlton Bryan of Sanford; and Hearl Bryan of Bladenboro and one sister: Stenza Lambert of Henderson. A graveside service will be held on Saturday, February 9, 2019 at 11:00 am in Guyton Cemetery officiated by Rev. Terry Dove.